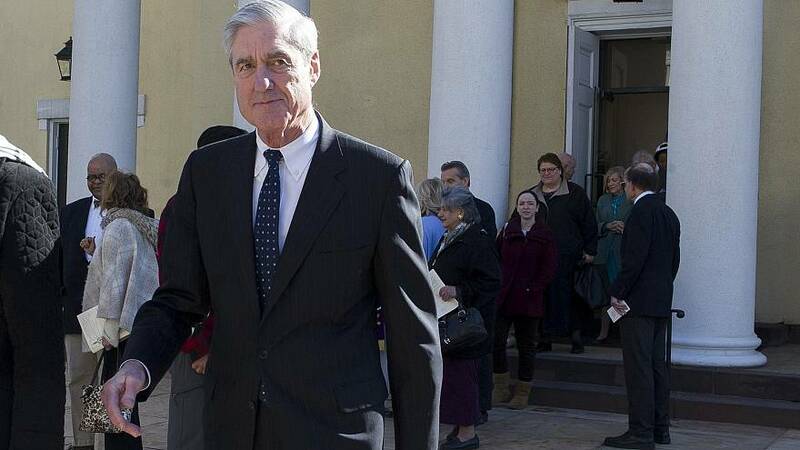 WASHINGTON — Special counsel Robert Mueller and members of his team informed Attorney General William Barr three weeks ago that they would not be reaching a conclusion on the question of whether the president had obstructed justice, according to a person familiar with the meeting. Barr and Deputy Attorney General Rod Rosenstein, who was also present, were surprised by this, the person said. "It was unexpected," said the source. The readout from the meeting partly helps to explain why Barr was able to make a decision on whether the president had obstructed justice just 48 hours after receiving Mueller's final report. In a letter to Congress on Sunday, Barr said that Mueller "did not draw a conclusion one way or the other as to whether the examined conduct constituted obstruction." Barr said the decision by Mueller "leaves it to the Attorney General to determine" whether the president obstructed justice. And Barr concluded that Mueller's evidence of obstruction was "not sufficient to establish that the President had committed an obstruction-of-justice offense." Critics had said Barr was too quick to react. However, the timing reveals that he had this information at least three weeks in advance of his decision.